Covering a subset of individuals with a quantitative predictor, while imputing records for all others using pedigree or genomic data, could improve the precision of predictions while controlling for costs. Predicting genetic values with high accuracy is pivotal for effective candidate selection in animal and plant breeding. Novel ‘omics’-based predictors have been shown to improve upon established genome-based predictions of important complex traits but require laborious and expensive assays. As a consequence, there are various datasets with full genetic marker coverage of all studied individuals but incomplete coverage with other ‘omics’ data. In animal breeding, single-step prediction was introduced to efficiently combine pedigree information, collected on a large number of animals, with genomic information, collected on a smaller subset of animals, for breeding value estimation without bias. Using two maize datasets of inbred lines and hybrids, we show that the single-step framework facilitates imputing transcriptomic data, boosting forecasts when their predictive ability exceeds that of pedigree or genomic data. 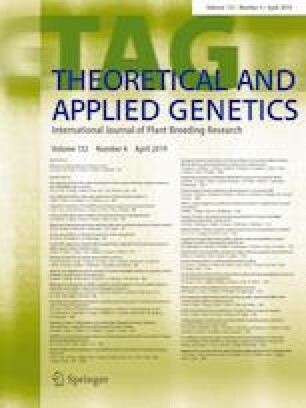 Our results suggest that covering only a subset of inbred lines with ‘omics’ predictors and imputing all others using pedigree or genomic data could enable breeders to improve trait predictions while keeping costs under control. Employing ‘omics’ predictors could particularly improve candidate selection in hybrid breeding because the success of forecasts is a strongly convex function of predictive ability. This project was funded by the German Federal Ministry of Education and Research (BMBF) within the projects OPTIMAL (FKZ: 0315958B, 0315958F), SYNBREED (FKZ: 0315528D) and by the German Research Foundation (DFG, Grants No. ME 2260/5-1). We thank T. A. Schrag from the University of Hohenheim for providing the phenotypic data as well as S. Scholten, A. Thiemann and F. Seifert from the University of Hamburg for providing the gene expression data for Experiment 2, respectively. Furthermore, we would like to thank researchers and institutions who contributed to the development of the maize diversity panel and associated data from Experiment 1, in particular Jianbing Yan and Haijun Liu from Huazhong Agricultural University Wuhan in China. We thank T. A. Schrag and W. Molenaar for valuable suggestions for improving the content of this manuscript. The authors acknowledge support by the state of Baden-Württemberg through bwHPC. Financial support for M. W. was provided by the Fiat Panis foundation, Ulm, Germany. MW and CH conceived the study. AEM, RF and GT guided the structure of the research and checked the methodology and results for validity. MW and CH drafted the manuscript. MW and CH implemented the prediction models and developed software. MW analyzed the data. All authors interpreted the results, read and approved the final version of the manuscript.